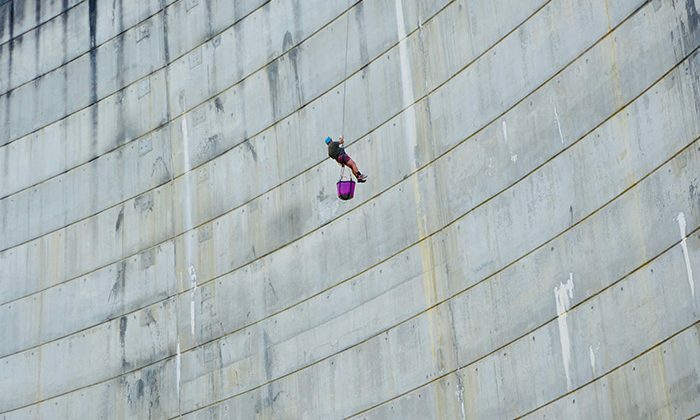 The world’s highest commercial abseil is a bucket list day trip out of Hobart. 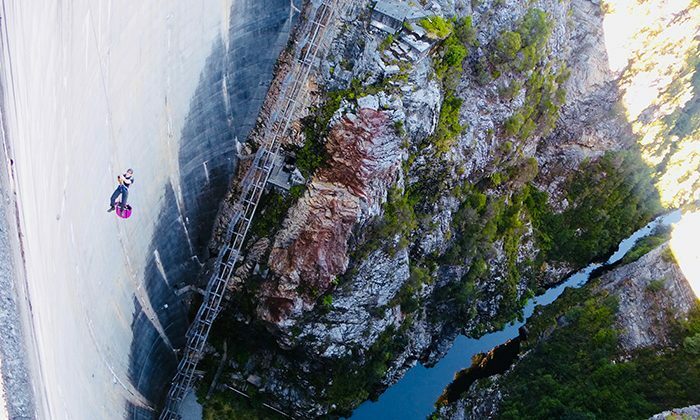 Drive through stunning mountainous countryside to the mighty 140 metre-high Gordon Dam wall. 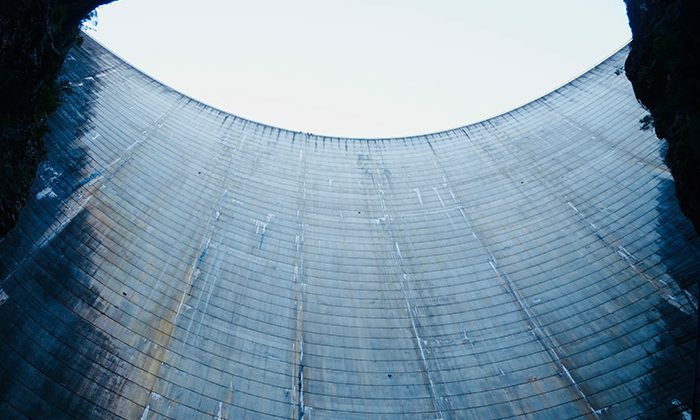 Instructed by a professional operator, your ropes can support two tons of weight, and there are various safety mechanisms to ensure a smooth ride to the base of the wall. You can choose to fly quickly to the bottom, or dangle mid-air and take in the spectacular valley views. Your ticket includes as many descents as you’d like, providing you’re fit enough to keep climbing the steep 480 service ladder rungs to the top. 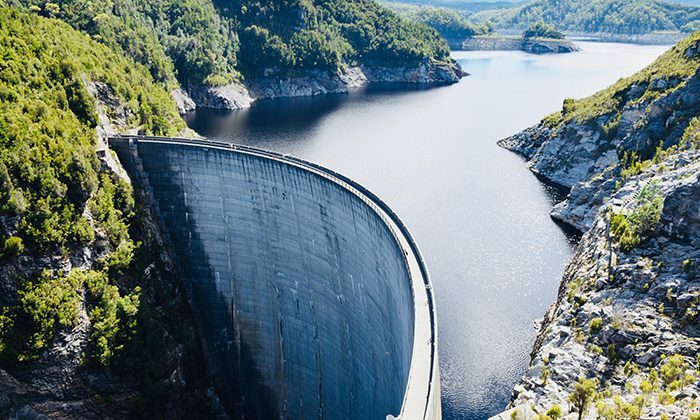 The dam wall holds back thirty times the amount of water in Sydney Harbour, and is several metres higher than the Sydney Harbour Bridge. Length of Trip : It doesn't take long to get to the bottom, but factor in a full day for the adventure, and three hours each way for the drive from Hobart. Cost : Click here for the latest prices. Best time to go : Operates all year, although best to visit in summer, November to February. Where to eat : In Hobart, we recommend: The Urban Greek: Outstanding Greek cuisine from this friendly, stylish family-owned restaurant downtown. Mures Upper Deck: The city's best seafood, located right on the wharf. The Old Wharf Restaurant, located in the Macq01 Hotel, gourmet dining with a view. Where to Stay : Accommodation is available at the Pedder Wilderness Lodge (03 6280 1166). For families, we recommend our partner the Discovery Parks in Hobart. For something more urban and upmarket, consider the storied Macq01. Getting There : It's a doable daytrip with a three hour drive each way from Hobart, unless you choose to stay overnight somewhere close like Strathgordon. It's in and out on the Gordon River Road; there’s no scenic loop drive. 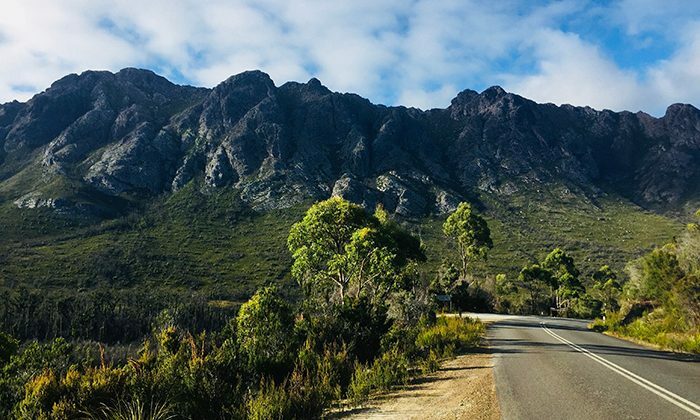 You'll be driving along the spectacular Gordon River Road, which takes you through the Tasmanian World Heritage Area and the Franklin-Gordon Rivers National Park. Note from Robin : What goes down, must come up. 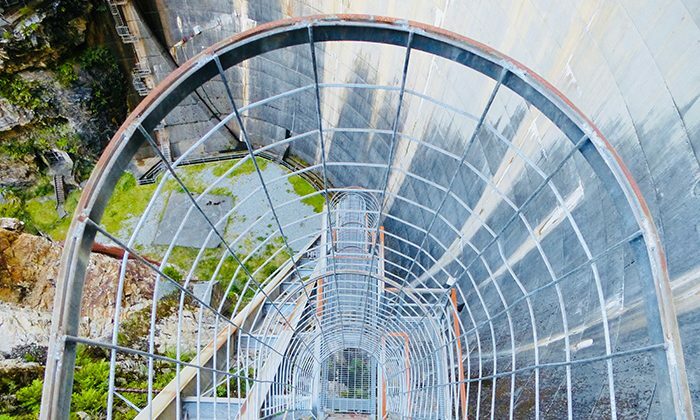 The 480 steps to the top of the dam wall are pretty strenuous, which is why 95% of abseilers only do the abseil once, even though your ticket allows you to do it as many times as you wish. I suggest leaving a bottle of water at the top, taking your time with rests on the platforms, and definitely giving it another go so you can enjoy yourself more the second time. 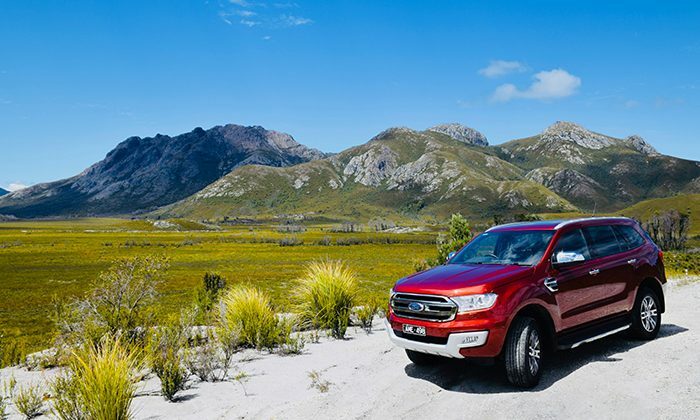 Take it easy on the drive in and out, which is beautiful, but also prone to animals jumping out of the bush. 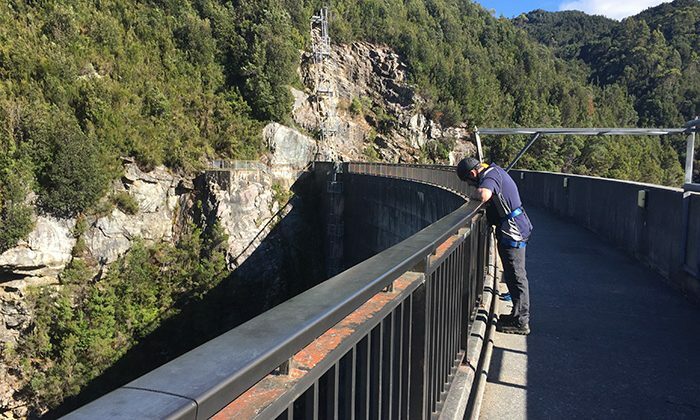 Does abseiling the Gordon River Dam belong on The Great Australian Bucket List?